Hello, welcome to the Virtual Tour Visions website! My name is Andre Carriere. I’m a photographer, entrepreneur, husband, father, and outdoor enthusiast. I started Virtual Tour Visions, a real estate photography specific business, back in 2007. I have always been interested in real estate, especially in the beautiful area of Muskoka. A place I have had the pleasure of living since my early high school years. I spent my early photography days photographing people, weddings, and other special events. One day, during the dawn of internet real estate, my wife and I were searching online for our first home, and it was here when I had a light bulb moment. The beautiful homes and cottages that surrounded us, deserved professional photography and media to showcase what each property had to offer. Already being a professional photographer I started teaching myself the art of shooting Architectural & Real Estate photography through courses and online programs. The learning never ends; this is a non stop changing industry with new innovative ways to shoot, capture, market and produce stunning results. I love interacting with people, and I get to meet amazing new clients and home owners everyday. Being told I am a people person comes true as most of my clients have now become friends as well as work colleagues. Clients want to see quality and value, and I take pride in providing and producing the best product and customer service that I can offer. I feel very fortunate to be welcomed into clients homes or cottages and be able to showcase and display their property; to capture each room and landscape in the best possible angle and light and use my creativity to show possibilities and futures. When considering Virtual Tour Visions, you can count on the best service and results as your marketing partner. My vision is to continue to transform with market trends and provide a seamless service from the initial planning stages to the final delivery of your product to meet all your marketing needs. Choosing to use Virtual Tour Visions is an investment in your property that delivers quality results. Please follow me on social media for news and activity or contact me directly to start your journey with Virtual Tour Visions as your new marketing partner. 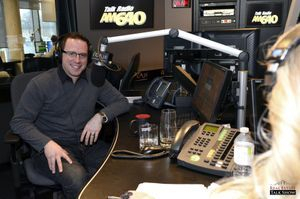 Andre Carriere of Virtual Tour Visions WAS featured on the Real Estate Talk Show on AM640 Talk Radio as their resident expert Real Estate Photographer . 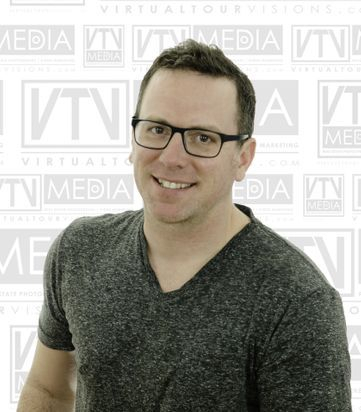 Virtual Tour Visions is featured in this video. Take a look at our work. Shot in 2014, Technology has changed since then.